Here is a strange one! What I like about this piece is how it makes me imagine that the young Peregrine has just severed my head, and my head has rolled down the hill. And as the final pulse of electric spirit-current powers my eyes, this is the last thing I see. And I feel at peace. For we are all the prey of some predator, and I’ve just met mine. And behold! It is a Peregrine Falcon, and it is beautiful. And just at the moment I realize that because I am now part of him, I too am now a beautiful Peregrine Falcon, and now am really, really awesome, the lights go out. 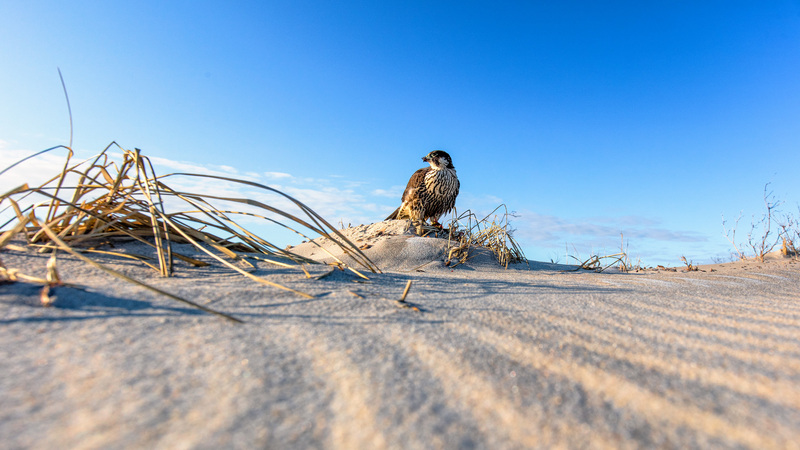 Posted in Wildlife and tagged LBI, lbi peregrine falcon, Long Beach Island, peregrine falcon. Bookmark the permalink.